Make your impression a Lasting One! Create continuity from your website and online presence to your advertising materials through: Logo Creation and Design of Advertising Materials. We work with our clients on layout, branding and content of each project so the ad or print material makes an impression, promotes your brand and increases conversion. Call for a free estimate. We will work closely with whomever you choose to print your materials to provide them with a print-ready format at their specifications. If you need local or online recommendations, we can provide you a few names so you can compare prices. Create continuity (branding) from online to digital media! 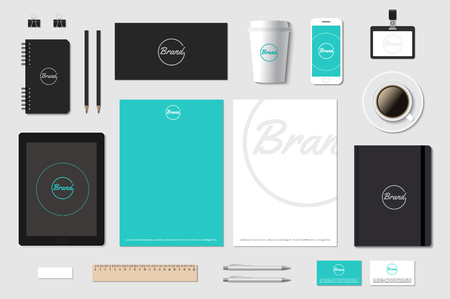 Logo Creation: We work closely with our clients as Logo Design is the foundation of a company’s branding protocol. A great logo should convey a message in a simplistic, visually appealing and memorable way … not an easy task but its importance can not be overemphasized. Design of Advertising Materials: business cards, brochures, event programs, fliers, newsletters, signs, billboards, automobile or truck wraps, signs, posters, calendars, postcards, invitations, letterhead and envelopes, and more. Print & Digital Ad Design: for newspapers, magazines, virtual banners, trade show materials, social media, online media, etc. Print-Ready Format: I will work with whomever you choose to print your materials to provide them with a print-ready format at their specifications. Trade Show Exhibit Design: Integrate your brand into your appearance at trade shows, vendor shows, exhibitions, business meetings, fairs or expos. We will design your vendor table or show booth to attract attention, engage visitors, create new leads and develop new relationships.